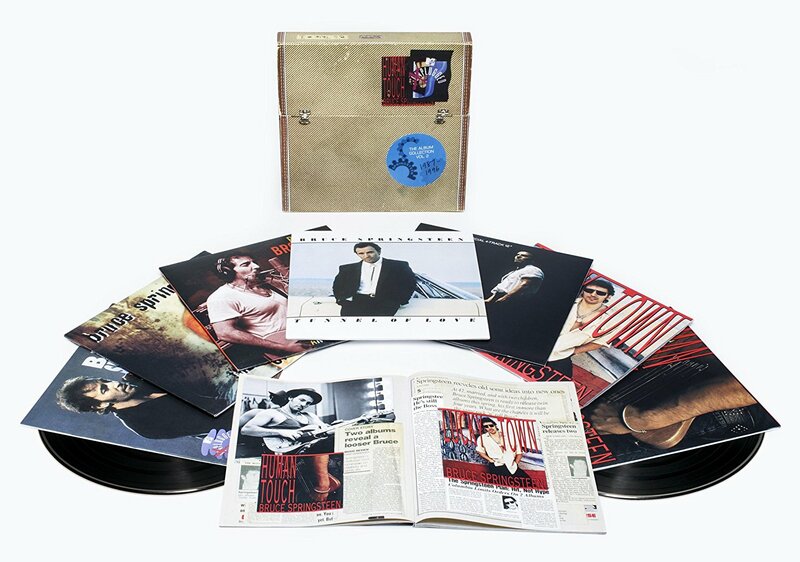 There’s no way Bruce Springsteen’s The Album Collection Vol. 2, 1987-1996 could live up to the brilliance of Vol. 1, 1973-1984, which contained seven indisputable classics. But Vol. 2 shouldn’t be sloughed off just because it covers the period when Springsteen dismissed the E Street Band. That breakup wasn’t, in retrospect, as disastrous as many claim. Listening to this box’s four remastered studio albums — Tunnel Of Love, Human Touch, Lucky Town and The Ghost Of Tom Joad — reinforces that they were actually the work of an artist undertaking a necessary period of self-exploration, and drawing energy from fresh collaborations. These sonically cleaner versions deliver crispier guitar, keyboards and lyrics (while perhaps over-emphasizing Jeff Porcaro’s repetitive drumming on Touch). Here, Tunnel’s “When You’re Alone” cuts like an emotional knife, and Lucky Town’s “If I Should Fall Behind” — the rare gem that’s equally fitting for both weddings and funerals — cradles the soul. With Tom Joad, Springsteen returned to focusing on society’s discards and downtrodden, making sure this time there could be no mistaking his messages — despite their quiet folk-singer delivery. But before he went there, he recorded In Concert – MTV Plugged, a joyous affair that sounds like an E Street session — and stands as the box’s highlight. From the raucous “Red-Headed Woman,” to the affecting “Atlantic City” and “Darkness on the Edge of Town,” every track holds up — and these “Human Touch” and “Lucky Town” versions are better than the studio originals. “Light Of Day” also sizzles, with dueling guitars and Bruce’s gospel-revival spiel jumping through the speakers. The photo- and press-clip-filled booklet is well done, but it’s the tunes that matter. And these rejuvenated versions are worth hearing.